Beijing Chinese Language and Culture College (BLCC) is subordinate to the Overseas Chinese Affairs Office of the State Council of China (OCAO). The campus of BLCC is advanced, fully functional, modern and beautiful, and can accommodate up to 2000 students. Over the past 60 years, BLCC has built up a high reputation for its outstanding Chinese teaching and professional service all around the world. Founded in 1950, BLCC is a most reliable and trustworthy school for its long history and dedication to the promotion of Chinese language and culture. As the only one college specialized in Chinese language teaching and culture experiencing in China, BLCC has built up a high reputation for its outstanding teaching and professional service all around the world over the past 65 years. BLCC has always been the first choice of foreign students to learn Chinese. 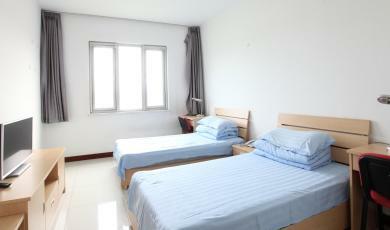 BLCC provides hotel-standard dormitory (double/single room). 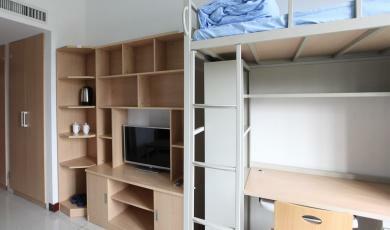 Each room has its own private washroom, television to keep students informed of what is happening outside BLCC, own telephone lines, Wi-Fi/Internet access, electric water heater, sturdy beds, study tables, sofa, wide inbuilt closets and shelves for the students’ personal things and books. The dormitory is well designed and maintained throughout the years since it was built, ensuring students who study at BLCC to enjoy a comfortable living environment. Dormitory buildings are equipped with a centralized air filtration unit, a centralized water heater unit and also a centralized air cooler and heater that automatically changes depending on the weather. 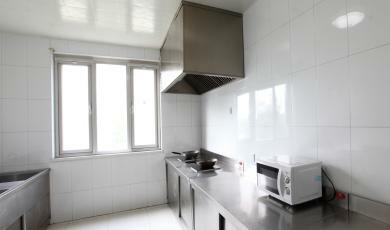 Each floor level has its own public kitchen, a water filter machine and emergency fire extinguishers. 24/7 CCTV cameras capture every event that happens in the dormitory hallways, exit/entrance ways to ensure the safety of the students and for documentation of certain unwanted events. 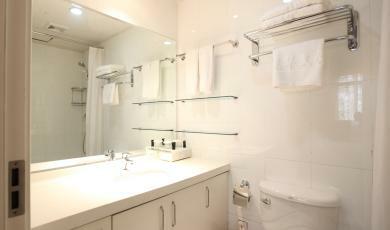 Smoke detectors and emergency water sprinklers are in every room to prevent any fire outbreaks. BLCC provides pick-up services for international students (free of charge for new students). We also offer thoughtful living services including campus WIFI, ¥25/day buffet, ¥1/time swimming, ¥15/time haircutting, ¥60/time massage and free purified water etc. Students can enjoy a study tour in Beijing every two weeks to visit scenic spots and historical sites including the Imperial Palace, Great Wall and Summer Palace etc. And there will be a study tour at the end of each semester to visit famous cities in Mid-China, Eastern China, Central China or Northeastern China etc. Besides, BLCC organizes colorful student activities each semester including academic activities like Pinyin contest, vocabulary competition, speech contest and composition show etc. and recreational and sports activities like mid-autumn party, Christmas party, photography competition, Chinese karaoke, rope skipping, tug of war and table tennis etc. The sun was about to set, roughly thirty students were waiting in line to get into the bus. It was a cool breezy evening and the students were ecstatic to see Beijing National Center for Performing Arts. Due to the unique architecture, many people remember this place as “The Giant Egg”. It is located near the Tiananmen Square. The outside is shaped like a dome and surrounded with man-made lake. Audience would enter the building through the north gate located underneath the man-made lake. As the students scanned their tickets one by one went up to the second floor getting ready to enter the music hall. The concert started around 7.30 and the BLCC group was seated at the balcony on the third floor. The concert was opened with a Chinese anthems and the audience were all invited to stand up and sing along. The concert was more than a wonderful orchestra, but there were a fuse between the orchestra and other performing arts. Some of the many performance are: poem recitation, soloist, quartet, violin solo, choir, and a guzheng performance. The beautifulconcert was closed with a patriotic song, Ode to the Motherland (歌唱祖國 – Ge chang zu guo), it was also known as the secondnationalanthem of People’s Republic of China (LNW). 3. 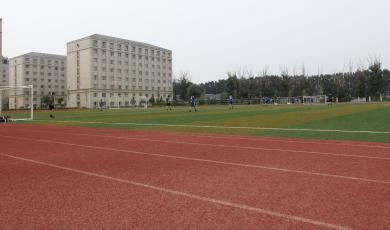 Come to BLCC for application (school address: http://admissions.bjhwxy.com/index.php?m=content&c=index&a=lists&catid=26#ADDRESS). Admission notice, passport, photos (2-inch, full-faced, half-length, bareheaded, white background) and other necessary materials. 1. New students will take the physical examination arranged by BLCC (the cost is about RMB 400) within 10 days since their entry. 1. Download Application Form (http://admissions.bjhwxy.com/uploadfile/2015/0924/20150924051930746.doc), fill it out and send it to Training Department through email (pxxm@bjhwxy.com). 2. Come to BLCC for application (school address: http://admissions.bjhwxy.com/index.php?m=content&c=index&a=lists&catid=26#ADDRESS). Intended for students who want to learn Chinese comprehensively. In 1-4 semesters, through systematic courses on Chinese listening, speaking, reading and writing, students could raise their Chinese to different levels. Upon graduation, students will receive a certificate given by BLCC. A special course provided for students who have a basic Chinese level and specially willing to improve their HSK level. By learning special Chinese courses and HSK test-taking skills, students can reach HSK level 4 to 6 within one year and meet entrance requirements of Chinese top universities. Upon graduation, students will receive a certificate given by BLCC. Intended for students who already have basic Chinese level and willing to specially improve their Chinese reading and writing abilities. Upon graduation, students will receive a certificate given by BLCC. Intended for students who have a special interest or demand in using Chinese to do business with China. Through various business Chinese courses, students will master practical abilities to use Chinese in doing business. The school will organize students to participate in BCT (Business Chinese Test) authorized by Chinese government. BCT level is a very important evaluation standard in recruiting employees of non-native Chinese speakers for many companies. Upon graduation, students will receive a certificate given by BLCC. Intended for international students who have a high school diploma (or achieve equivalent education level) or above and are willing to engage in Chinese teaching after graduation. To train student to acquire a comprehensive and systematic knowledge of Chinese language, train them to master Chinese teaching theories and skills. School system is 4 years (1 year in BLCC, 3 years in Jinan University, a key university in Guangzhou city, Guangdong Province of China). 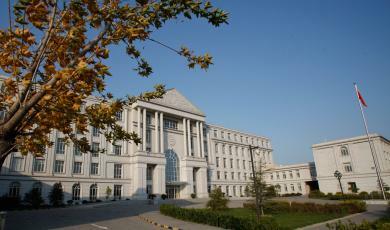 Upon graduation, students will receive a bachelor’s degree in Chinese Education of Jinan University. Intended for international students who have a high school diploma (or achieve equivalent education level) or above and are willing to learn a specific major while improving Chinese level. School system is 4 years (1 year in BLCC, 3 years in University of Science and Technology Beijing-USTB, a key university in Beijing). Students focus on Chinese learning in the first year and from the second year, they can choose any specific available major of USTB to continue their learning in USTB. Upon graduation, students will receive a bachelor’s degree of USTB. Intended for students who have a high school diploma. School system is 2 years in BLCC. Upon graduation, students will receive a college degree in Chinese Language of Huaqiao University. Intended for students who have a high school diploma. School system is 4 years (2 years in BLCC, 2 years in Huaqiao University, a key university in Quanzhou City, Fujian Province of China). 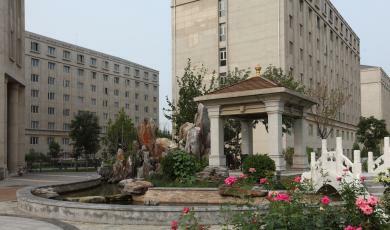 Upon graduation, students will receive a bachelor’s degree in Chinese Language of Huaqiao University. Intended for students interested in traditional Chinese medicine or self-help health care. Through courses on Chinese language and traditional Chinese medicine, students improve their Chinese, understand basic knowledge and concepts of traditional Chinese medicine, and master basic Chinese traditional physical therapeutic skills of cupping, Gua Sha (scrapping), and Chinese traditional massage etc. Upon graduation, students will receive a certificate given by BLCC and can voluntarily go to BUCM (Beijing University of Chinese Medicine) for further studies. Intended for international students willing to learn Chinese and experience Chinese culture in a short period in China. To focus on training of students' listening and speaking skills to enable them to quickly master basic daily Chinese and communicate with Chinese people in Chinese. Courses and time schedule are flexible and can be customized. Intended for international students willing to experience Chinese culture in a short period in China. To enable students to fully experience different aspects of Chinese culture through Chinese learning and study tours. Courses and time schedule are flexible and can be customized. Intended for international students willing to learn Chinese language and deeply experience a certain aspect of Chinese culture in a short period in China. 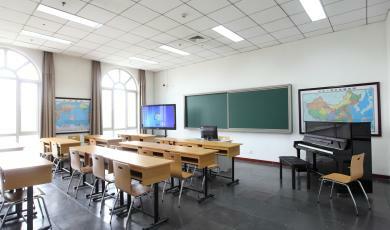 To stimulate the students' interest in Chinese language and culture with systematic theoretical and practical courses. Courses and time schedule are flexible and can be customized. Intended for overseas Chinese teachers willing to improve their Mandarin Chinese pronunciation, expression skills and Chinese teaching skills. To enable them to achieve accurate pronunciation and fluent expression. To focus on training of classroom Chinese teaching skills and improve teaching skills and theoretical level of overseas Chinese teachers through lecturing and communication activities such as theoretical studies, demonstration teaching, group discussion and so on. Courses and time schedule are flexible and can be customized. Fees of study tour programs vary accordingly, please contact us for details. BLCC offers attractive scholarships and grants to encourage and support students to finish their studies. Each semester, we have Freshman Scholarship up to ¥9600; Scholarship for the non-degree up to ¥7000; Scholarship for the college-degree up to ¥5000; Maintenance grant up to ¥6000.